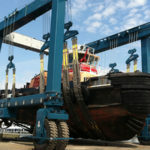 Vessel Travel Lift For Sale Has Best Price Easy Operation! 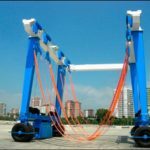 Choose Cheap Travel Lift High Quality Travel Lift For Boat Lifting! 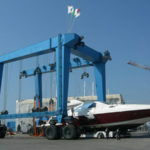 Vessel travel lift for sale is applied in water sport meeting, aquatic clubs and voyages. This vessel hoist crane is usually used for transporting boats or yachts into or out of shore side water channel to maintain or launch. 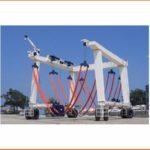 Boat travel hoist has simple structure, it is composed of hoisting mechanism, steering, mechanism, wheel sets, electrical control system and hydraulic transmission system. 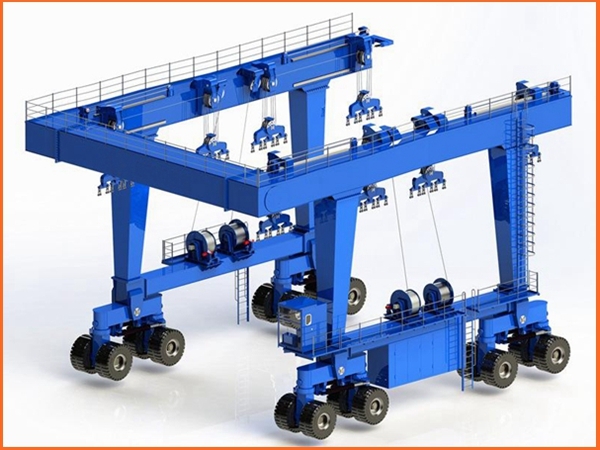 It adopts structure form with U type, it can transport boats those are higher than the crane itself. Ellsen Group, a professional travel lift manufacturer in China, provides top quality marine boat hoists with factory price, such as shipyard travel lift, seaport travel lift, and construction travel lift, travel lift for water sport meetings, aquatic clubs and voyages, all-wheel steering travel lift, heavy duty marine hoist and light duty travel lift. 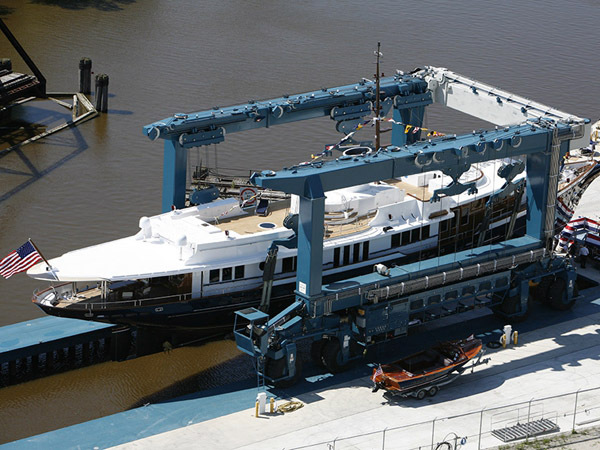 To buy suitable marine travel lifts, just choose Ellsen vessel travel lifts for sale! With steady performance, safe operation, reliable quality, it can increase efficiency and save much energy! Electrical system uses PLC frequency adjustment which can easily control every mechanism; electric system is famous brand; marine vessel hoist adopts inverter, PLC and CMMS. It also adopts hydraulic drive unit and can satisfy 2.5% slope working condition. The machine has load sensing control technique, output power will change timely according to accurate use of power. It is beneficial for energy saving and environmental protection. 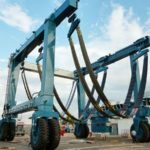 How to pack vessel travel lift? 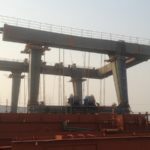 Steel structures are packed by plastic woven cloth; electrical and other parts are packed by wooden case; all parts will be loaded into 20ft or 40ft container. If the parts’ length is beyond 12m, they will be loaded onto bulk cargo ship after package. 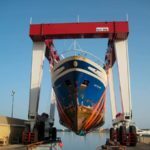 All Ellsen marine travel lift cranes are checked carefully before delivery to ensure good condition. They are packed well, so any machine never gets hurt or damage.